Daniel G. Hill, human rights specialist, historian, and public servant, was prominent in the movement to overturn racial discrimination in Canada. He came to this country for graduate studies but committed himself to the quest for justice. 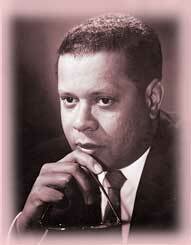 In 1978, Daniel Hill, Donna Hill, Wilson Brooks and other educators co-founded the Ontario Black History Society. It became the first major public organization in Canada focused on the history of people of African descent in the country. He headed the organization for six years. As Provincial Ombudsman from 1984 to 1989, Hill strove to make that office reflect the "new Ontario" with a forceful outreach program towards traditionally excluded groups and in particular to Canada's Aboriginal people. Following his retirement he became a member of the Canadian Human Rights Tribunal. Hill's publications on human rights and Black history include Human Rights in Canada: A Focus on Racism (1977, 1986) and The Freedom Seekers: Blacks in Early Canada (1981). A biography of Daniel Grafton Hill, human rights specialist, historian, and public servant. From The Canadian Encyclopedia. Scroll down to page 176 for a biography of Daniel Hill, former Ombudsman of Ontario and founder of the Ontario Black History Society. From the Encyclopedia of Canadian social work. From Google Books. Listen to a CBC Radio program with Prof. Daniel Hill discussing the Ontario Black History Society and issues of concern to the Black community in Canada. Scroll down the page for photographs of Daniel G. Hill and other members of the Ontario Black History Society. From the online exhibit The Freedom Seeker: The Life and Times of Daniel G. Hill at the website for the Archives of Ontario. The Preamble to the Government of Ontario’s Emancipation Day Act, 2008. Includes a brief summary of noteworthy historical events of concern to the Black community in Ontario.